at Birmingham City University, Faculty of Technology, Engineering & Environment, Millennium Point. Members of the West Midlands Open Data Forum steering group will be attending the Expo. I was asked for some examples of open data in action. I seem to have written a blog post. Search every contract and transaction. Linked to company registry and directors. The company data will be appearing in Open Corporates soon. Story: initially built by a couple of developers as a civil society initiative, then adopted by the Slovenian anti-corruption commission. Use Google translate. Lesson: a small country without legacy government institutions was able to implement this. It’s fast, cheap and uses technology to create the conditions of open government. Northgate is a large provider of data services for public housing. Story: built by one council web developer with the backing of his CEO. (Stuart Harrison, now at the Open data Institute) Leverages an open data community initiative. Adds utility to the spending data and improves accessibility for the general public. Lesson: one developer. The public sector can do this. Use the resources of the open data community. Use an open licence. Also, pay some attention to design, it’s a site which encourages public use and re-use of the data, unlike some local authority sites. The infrastructure of transparency is built with unique company identifiers and an open licence. Visualise corporate networks, follow the money, identify beneficial owners and monitor tax transparency. 60 million companies worldwide. Lesson: corporate networks and tax avoidance schemes are designed to bypass national government agencies by holding assets in secrecy jurisdictions. It makes no sense to limit access to company information to national tax or law enforcement authorities. They are demonstrably ineffective against the movement of capital between national jurisdictions by tax avoidance schemes or organised crime. Shows the indicative extent of property registered in England and Wales. Each polygon has a unique ID called the Land Registry-INSPIRE ID. This can be used in the Find a Property service to obtain the title registration and plan information. 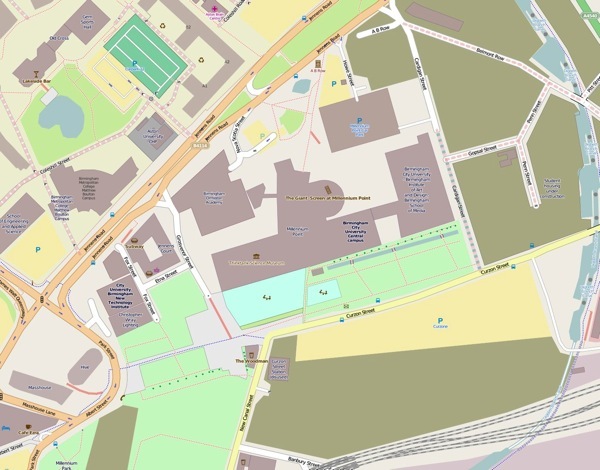 Story: government open data release merged with existing open data community mapping project adds value to Land Registry property and flood risk service. Lesson: only possible with compatible open licences. Yesterday New York City opened up 200 high value data sets to the public, making it possible to use this data to improve OpenStreetMap. In return, New York City’s GIS team can now be informed of changes made in OpenStreetMap around their datasets – helping them to keep their map data current. This move effectively makes the largest municipality in the United States an OpenStreetMap participant. This is an exciting example of connecting governments to open data communities, step by step moving towards a future where citizens and government collaborate directly around the same datasets. Story: co-creation of a public data service. Lesson: Cities which release a lot of data will benefit from open data synergies. In this example the city knows where to direct limited resources to intervene more effectively. Some of the benefits are a public good (fewer people die in fires) some are economic (fewer buildings are lost, insurance premiums can reflect more accurate risk assessment). If NYC had been required to produce a business case for the data being open it probably would not have happened. So while there are economic benefits, they may not be easily predictable. There will not often be a direct correlation between this database and that economic benefit. Two former Google employees make use of the vast amount of free data published by the National Weather Service on heat and precipitation patterns around the country. How likely is it that the start-up would have been able to raise the necessary venture capital unless they had assured access to massive data sets under an open licence? How likely is it that a public authority could produce a new service like this? Lesson: while Monsanto are a company not noted for an open approach to IP, if the data is open other players can enter the market. So companies compete on providing the best analytics. Monsanto bought analytics and first mover experience, not exclusive access to data. was available under the Open Government Licence? Add Inspire, DEFRA and Environment Agency data which has been publicly funded and the UK GIS and data analytics industries could make a significant contribution to food security and environmental quality. Environmental and climate datasets are huge and the underlying phenomena (weather, fish, pollution) do not respect departmental boundaries and information silos. By making datasets available under an open licence (OGL) which allows them to be aggregated without legal cost or obstacle we can create a common asset which is greater than the sum of it’s parts. It would be a mistake to assume a public good created with environmental data is somehow opposed to economic growth. Also, data is not oil. Extracting value from data, or more accurately, creating value from data, takes knowledge and imagination. Ultimately, economic growth needs investment and investment follows talent. Investors are looking for experience in working with large, dynamic datasets and extracting intelligence from data. If we can show this expertise the talent and investment will come here. Twitter changed their api and no longer support RSS feeds, which wrecks my low maintenance blog strategy. Sometimes Pinboard is very fast to update, sometimes a couple of days behind. If you want instant follow @DJSoup on Twitter. I have yet to work out if there is a way of reversing the flow and turning Pinboard bookmarking into a blog feed. I’m moving away from twitter to app dot net but it doesn’t reach many people yet.